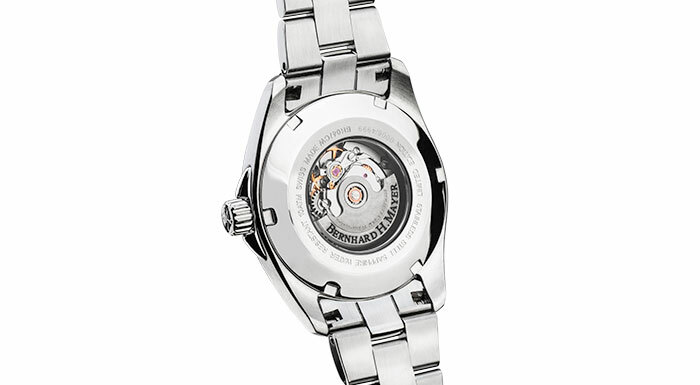 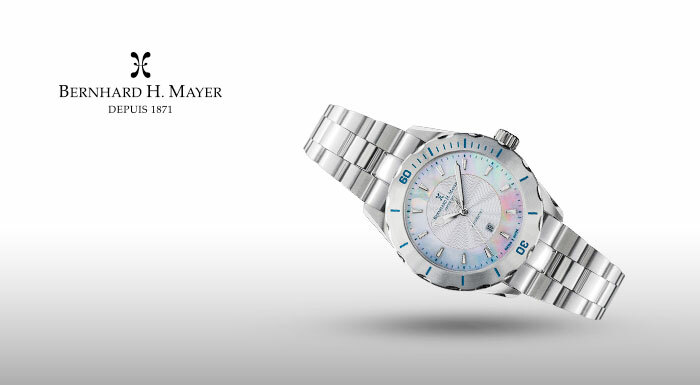 Tune up your sophistication and elegance with the new Bernhard H. Mayer® Ballad for Women. 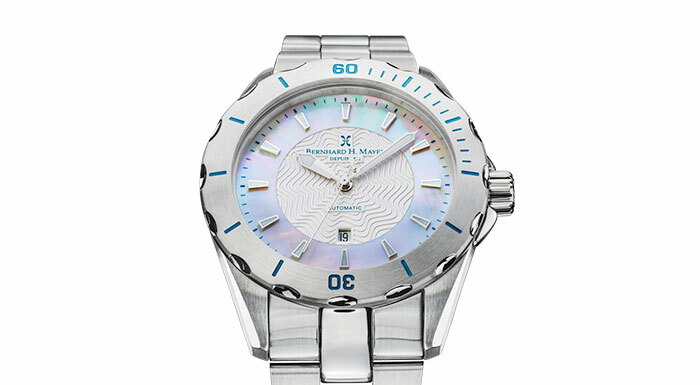 With its refined white mother of pearl dial and sapphire crystal glass with anti-reflective coating on the inside, it will surely complement your classy style. 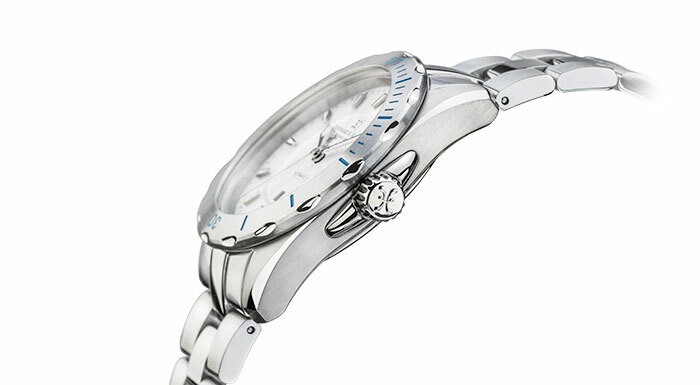 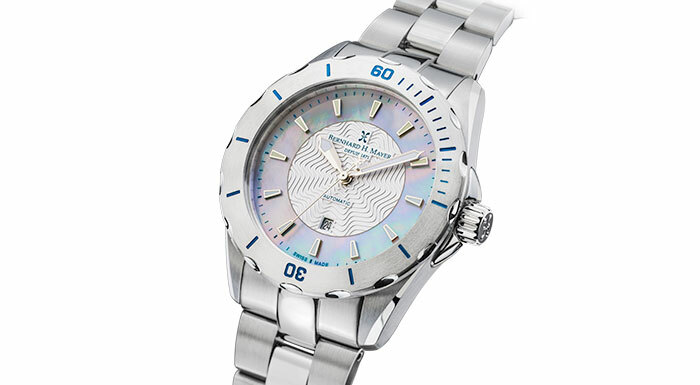 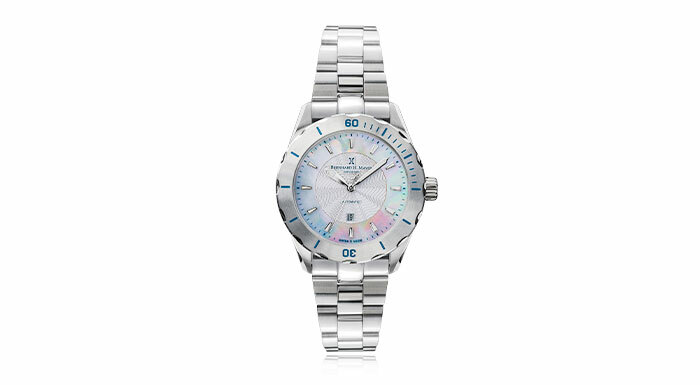 You can go for a stainless steel band for formal allure or a leather strap for a casual yet elegant look. 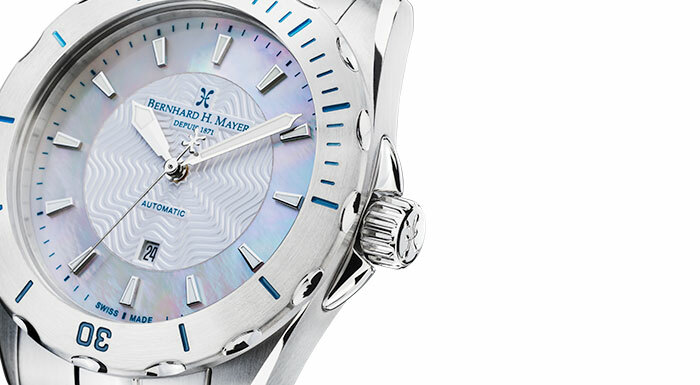 The Bernhard H. Mayer® Ballad for Women has a water resistance of up to 10 ATM (100 metres) and a reliable Swiss Automatic movement that keeps you company as you sing your way through life.